July 23rd, 2007 @ 11:06 PM Events,Photos! 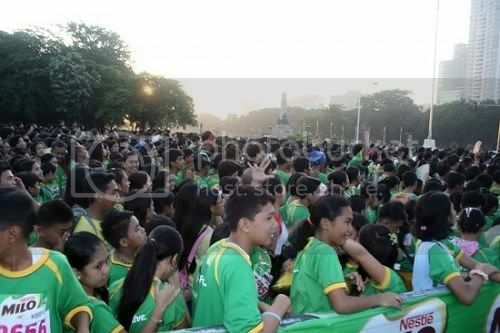 The 31st Milo Marathon. July 22. Six o’clock in the morning. Over 12,000 runners. 3, 5, 10, then 42 kilometers of distance to be covered. (An astounding 100 kilometers for The North Face‘s coinciding “Run For Your Life“!) P30,000 at stake for the champion’s purse.